In the gap between great ideas & university research and market ready technical products, lies Technology Readiness Levels 5-8. This is where the seven centres that comprise the High Value Manufacturing Catapult do their stuff. Here are some of their 2018 highlights. AFRC has secured £16.5million funding to establish FutureForge, a major new advanced engineering facility, from the UK Aerospace Research and Technology Programme, Scottish Enterprise and HVM Catapult. It will work with companies in industries from aerospace to energy and help generate around £40 million of new collaborative R&D projects over 10 years. It will include a bespoke 2000 tonne hydraulic press capable of operating in open-die, closed-die and isothermal modes, a fully integrated manipulator with industry 4.0 instrumentation and the ability to process parts of up to four metres long, 265mm diameter and one tonne in weight. The facility will be housed in a 750m2 extension adjoining the AFRC’s existing building in Inchinnan, Renfrew. 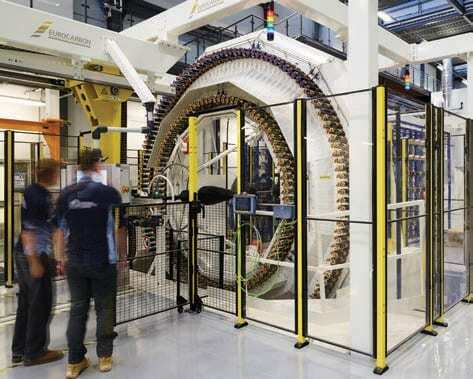 The Lightweight Manufacturing Centre, part of the Scottish Government’s £65m National Manufacturing Institute for Scotland (NMIS), opened for business in 2018. 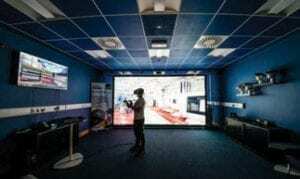 The opening of a new digital visualisation suite enables the AFRC to integrate fully-immersive virtual and augmented reality technologies with wider industry 4.0/Smart manufacturing themes. The suite includes a 10m2 Virtalis Active Wall, a fixed 3D stereoscopic projection system with head and hand tracking system that allows multiple users to view 3D content stereoscopically. The centre also has a portable Active Move system that can be taken to industrial premises. AFRC has agreed a Tier One partnership with software platform BitzList – the first micro business to sign a top-level agreement with an HVMC organisation. AFRC and BitzList are developing a technological platform for the creation of a ‘smart factory’; where machinery and equipment are able to improve processes through automation and self-optimisation using a constant stream of data from connected operations. Baker Hughes, a GE company (BHGE), is joining AFRC as a Tier One member. It will work with the AFRC’s team of engineers and researchers to improve its manufacturing processes and delivery of services. The AFRC will help BHGE identify opportunities to cut costs and cycle time, while extending the lifespan of oilfield equipment required for operations in increasingly high temperature and extreme pressure environments. AFRC has acquired two rotary friction welding machines, the biggest of their kind in any UK research centre. Rotary friction welding is fast, highly energy efficient, reduces waste and is currently used across niche manufacturing areas within the aerospace and oil and gas sectors. AMRC was announced operator of the new Advanced Manufacturing Research Facility in North Wales, to support Airbus’ Wing of Tomorrow manufacturing assembly development and providing an open access research hub to drive improvements in productivity, performance and quality. 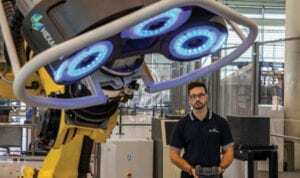 AMRC invested in capabilities such as the largest radial triaxial braider in the UK; the world’s largest ultrasonic assisted machine tool, high-pressure RTM system and composite press facility; a 3D scanner upgraded for automated composite inspection; and a Reflex Imaging Laser Metrology Module. Initiatives for SMEs included a partnership with Sheffield University Management School to break down the barriers SMEs face when adopting new technologies to improve performance and drive innovation, a toolkit to help SMEs tackle business challenges linked to effective leadership and talent management and, through the AMRC SME Reach Programme, support for small businesses to innovate and grow. AMRC will be extending its research work with GKN in additive, digital and machining in the Global Technology Centre to further strengthen the UK’s position in global aerospace research. During 2018, CPI confirmed the establishment of a £56 million Medicines Manufacturing Innovation Centre, based in Renfrewshire, Scotland, to accelerate the advancement of new manufacturing processes for the healthcare sector. The the centre will be led by CPI in partnership with the University of Strathclyde and the Medicines Manufacturing Industry Partnership, alongside founding industry partners AstraZeneca and GSK. The National Formulation Centre, based at NETPark (North-East Technology Park), in Sedgefield, County Durham, was officially opened in April 2018. 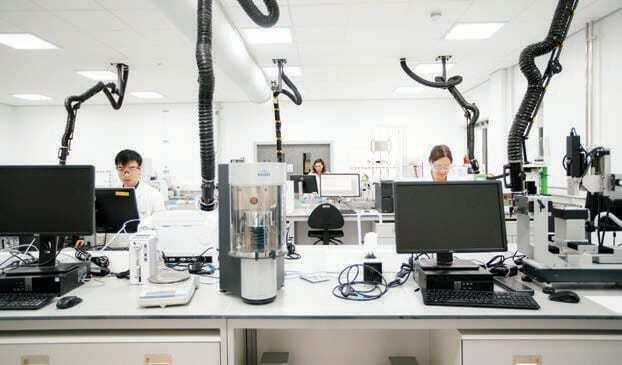 Its world-class laboratories and accompanying expertise focus on high-throughput formulation, process chemistry, process technology, complex particles, nanomaterials, composites and chemistry and dispersions. The centre allows businesses and academic partners to collaborate, develop, prove and commercialise next-generation products and processes. The National Healthcare Photonics Centre, constructed through 2018 and based at NETPark, will support the scale-up and commercialisation of medtech products, acting as a hub for businesses of all sizes and academic partners to work on innovative methods of diagnosing disease, imaging systems, and light-based treatments. A new printable electronics facility, based in Newton Aycliffe, County Durham, has the ability to create rolls of thin, flexible inlays containing multiple electronic components that can be converted into labels or embedded into smart products or wearable goods. The Future Vaccine Manufacturing Hub, which is focused upon delivering high-quality, low-cost vaccines to prevent outbreaks such as Ebola and Zika, announced further programmes included work with Cobra Biologics and GE Healthcare Life Sciences on the development of cost-effective regenerative medicines. CPI collaborated on initiatives as part of the Government’s Faraday Challenge and featured the Lithium Innovations for Future Electric vehicles (LIFE) project. Working with lead partner OXIS Energy, CPI supported the development of next generation batteries with the capability to extend electric vehicles’ mileage range. Gateshead-based SME iPac Packaging Innovations, Avondale Foods, Cranswick Plc and their customers are working with CPI to develop new biodegradable packaging with better end-of-life options, such as composting and anaerobic digestion. A new product manufacturing incubator, located in the MTC’s new Sopwith Building (see photo above), was opened by Chancellor Philip Hammond. Lloyds Bank has announced that it is doubling its sponsorship of the Advanced Manufacturing Training Centre (AMTC) on the MTC campus, near Coventry, to £10 million. It will support around 3500 manufacturing and engineering apprentices by 2024. 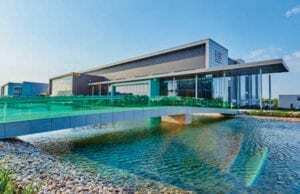 The £15 million DRAMA project at the MTC’s National Centre for Additive Manufacturing will help UK aerospace industry suppliers develop and test AM products and processes. Innovate UK has awarded £72 million to deliver a national Core Innovation Hub, a key element of the Transforming Construction programme. The Transforming Construction Alliance, which includes the MTC, has been awarded leadership of the hub. With funding from Innovate UK, the MTC in partnership with a consortium of industry partners has been developing the ‘Factory in a Box’ demonstrator; a rapidly deployable, remotely managed, modular manufacturing supply chain network enabled by industrial digital technologies. It will be launched at the MTC on 13th March 2019. The MTC is developing a partnership with NASA as US space scientists look to use MTC-developed technology in future space missions. Nuclear AMRC’s new 16kW disk laser welding facility. Insert photo: Simple platform concept. The Nuclear AMRC contributed to the Nuclear Sector Deal, announced in June 2018, and is now working with industry partners to deliver advanced manufacturing and supply chain development programmes. Nuclear AMRC engineers worked with Sheffield Forgemasters to reduce time for rough milling a large forging by over 40%. The centre is leading the development of single-platform manufacturing tools which could save 50% time and cost for a variety of large complex assemblies. 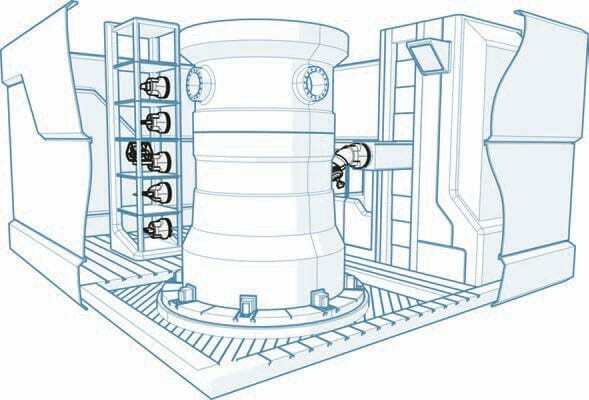 The centre is working with partners in the US to reduce the time to produce a small modular reactor pressure vessel by over 60%, using techniques including electron beam welding and laser cladding. More than 150 UK manufacturers have now been granted Fit For Nuclear status after driving business improvements with the centre’s support. 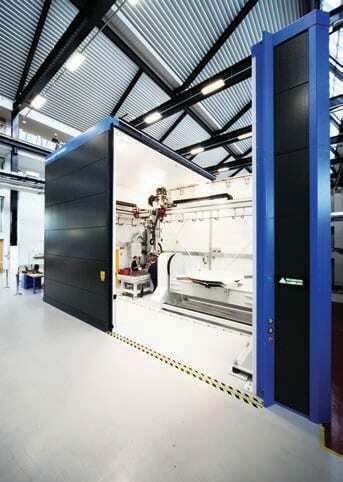 New workshop capabilities include a 16kW disk laser facility (see photo above), robotic welding and machining cells, and flexible machine tools to help SMEs adopt advanced machining techniques. In February 2019, Nuclear AMRC Midlands opens in Derby to develop new technical capabilities and support regional manufacturers. Concept design for a radical new single-platform manufacturing environment, from the Simple project led by the Nuclear AMRC. The largest-ever UK government investment in composites (£36.7m) will result in ten new world class technologies at the NCC. The first digitally driven capabilities iCAP machine, which has been installed and brought on line, is a novel combination of automated fibre placement and filament winding capabilities. NCC is now undertaking customer work on the UKs largest axial braider (see photo above), used to create hollow structures up to 1 metre in diameter and 10 metres long from intertwined fibres. December saw the launch of a new design of over-moulder, which combines materials such as fibre-reinforced composite and injection moulded polymers and produces parts in under 60 seconds. The NCC has opened a satellite site and announced a major extension to its HQ to support the development of the next generation of aircraft wings and engines. NCC and the Centre for Modelling and Simulation have announced a partnership to pave the way for future digital engineering. 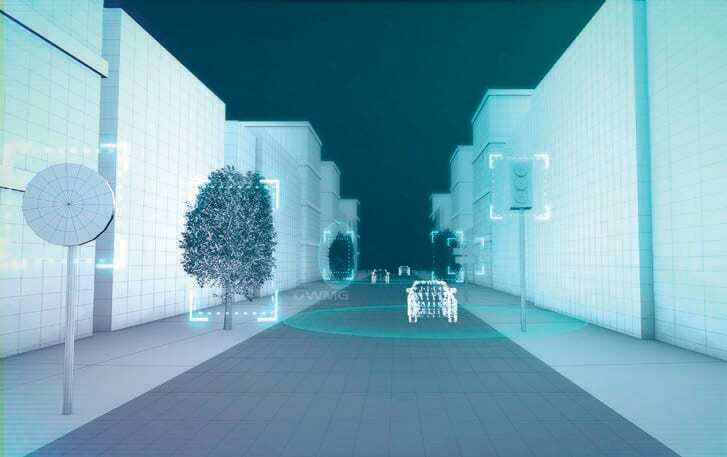 Meridian 3, an £11 million programme funded by Innovate UK, brings together Highways England with Midlands Future Mobility, which is led by WMG, will enable connected and autonomous vehicle technologies to be evaluated in real-world driving situations. The West Midlands Combined Authority will receive up to £20 million to enable WMG to create the UK Mobility Data Institute, a focussed research centre to collect, process and analyse transport data generated by the advent of new mobility technologies. The £37 million Tucana project will focus on lighweighting technology, delivering stiffer and lighter vehicle structures including world-leading cost effective, scalable carbon fibre composite solutions, with the view to boosting the performance of electric vehicles. The CO2 benefit of the project between 2023-2032, will be 4.5 million tonnes. Rapid Alloy Prototyping, which is 100 times faster than current methods of testing alloys, will allow new products to reach the market more quickly, thanks to £7 million of funding from the Engineering and Physical Sciences Research Council (EPSRC) for a new “virtual factory”, designed by the Prosperity Partnership led by Swansea University and involving WMG. The WMG Degree Apprenticeship Centre, due to open in 2019, will focus on courses essential to the effective development of advanced engineering and manufacturing companies. The Centre has received £10 million from the Government’s Local Growth Fund through the Coventry and Warwickshire Local Enterprise Partnership (CWLEP). The JEC Innovation Award-winning Innovate UK Composite Lightweight Automotive Suspension System (CLASS) project, led by Ford Motor Company in partnership with WMG, Gestamp Chassis and GRM, developed a new tieblade-knuckle, a key element for the car’s rear suspension, for a Ford Class C vehicle. An optimised design and manufacturing process developed by WMG enabled the researchers to replace the car’s current multiple-piece fabricated steel component with a single moulding, making a weight saving in excess of 4.5kg per vehicle. The SME support team at WMG helped startup company char.gy rapidly design, build and test a prototype of a new electronics board in order to achieve certification deadlines for its new electric vehicle charging point product, which can be easily installed onto existing lampposts.